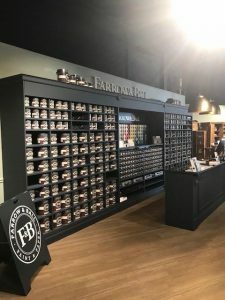 For thirty-one years Bradshaw Flooring have been installing all types of flooring, including hardwood, carpet and decorative vinyl designs, and in 2018 they took on a 750m² refurbishment project for Cotswolds Furniture Co, using a full system of ARDEX products. 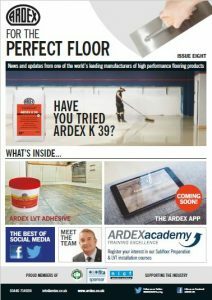 The existing subfloor had readings of over 75% RH, so local ARDEX Area Sales Manager, Kevin Gale, recommended the use of ARDEX MVS 95 Moisture Vapour Suppressant, to protect the final floorcovering from residual construction moisture. Kevin commented ‘the subfloor was a clean screed, making ARDITEX CL Levelling and Smoothing Compound the perfect choice for this project. 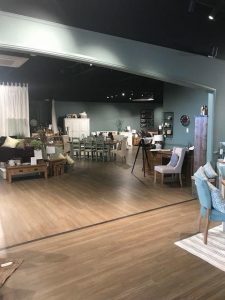 It has excellent flow and application properties, and is walkable in as little as 2 hours.’ To fit the Luxury Vinyl Flooring, Paul from Bradshaw Flooring, used ARDEX AF 145 Pressure Sensitive Flooring Adhesive. Paul commented ‘this was a large project; we had to work around other contractors so the working time of this product was great, and it was really easy to apply.’ Paul continued ‘We have used ARDEX products for years, they’re tried and tested, and have never let us down, and with excellent support from the sales and technical teams ARDEX was our only choice for this project’. 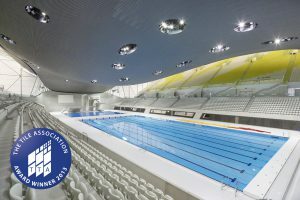 – The Best of social media – Your projects featured! For over 200 years, the Royal College of Surgeons Ireland (RCSI), has played a major role in medical education and training in Ireland. 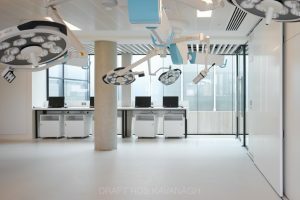 Founded in 1784 to train surgeons, today the College provides extensive education and training in the healthcare professions at undergraduate and postgraduate level. 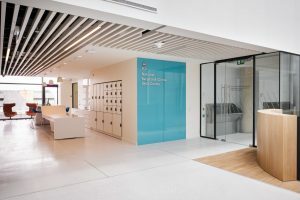 Henry J Lyons Architects in Dublin required a seamless floor for the RCSI campus refurbishment, which included the entrance, lobbies, stairway, and lecture rooms. 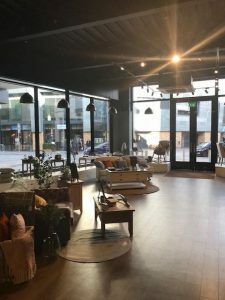 PanDOMO® TerrazzoPlus white was selected for this project, with 3-9mm white cararra marble added to create a stylish, fast track alternative to traditional terrazzo flooring.